Subscription boxes are some of my favorite ways to discover new products. Peaches and Petals is a lifestyle subscription box that features a great assortment of products for your home, wardrobe and beauty routine. This month's box is vacation inspired so you'll have everything you need to plan and enjoy your time away from home. Let's take a look. 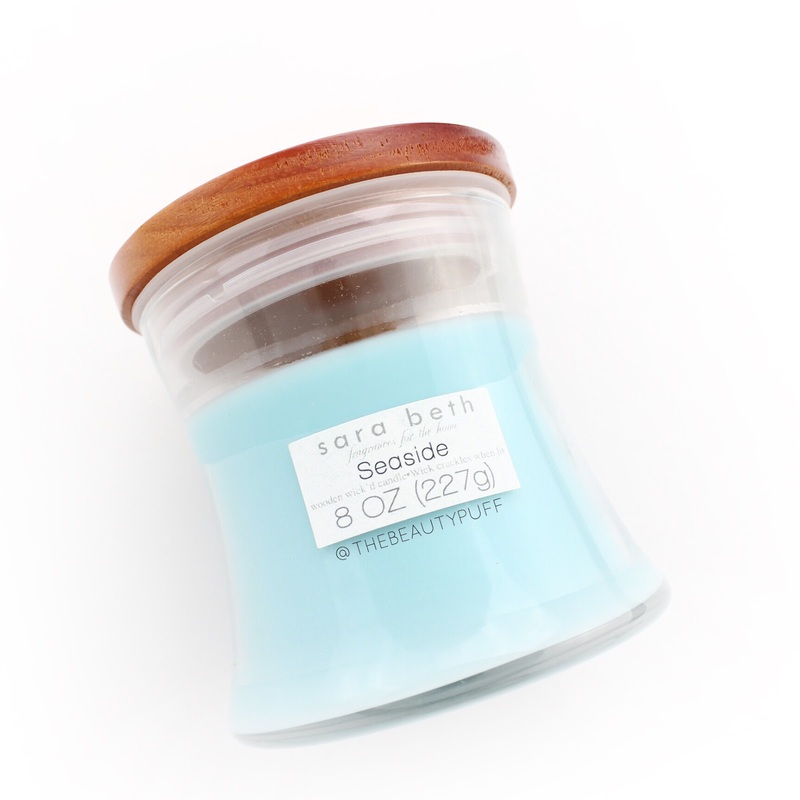 Sara Beth Seaside Woodwick Candle | This candle smells amazing! It's a fresh, summery scent that's perfect for this time of year. I love the style too. The packaging is really nice and would look beautiful in a bathroom or office. The candle is a nice soft color that would go with a lot of decor too. I'm a huge candle fanatic so this is definitely one of my favorite products in this box! 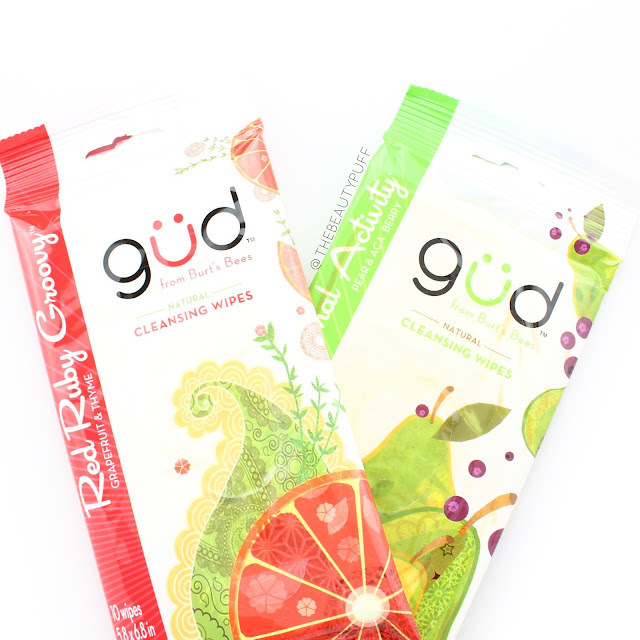 Gud Natural Cleansing Wipes | Each box this month comes with two travel packs of Gud natural cleansing wipes. Gud is actually made by Burt's Bees which I didn't know! These wipes come in fresh scents like Pear + Aca Berry and Grapefruit + Thyme. They can be used on-the-go after a workout, the beach, or any other outdoor activities where you need a refresher! Each pack has 10 wipes. Soapbox Hope-To-Go Travel Set | This set includes a body wash, body lotion, shampoo and conditioner that are all infused with argan oil. It's a great set to sample Soapbox products and throw in your bag for a long weekend away. Soapbox is a great company that gives back too. They donate a bar of soap for every one of their products that is sold. World's Best Spungee Neck Travel Pillow | Just in time for travel season! 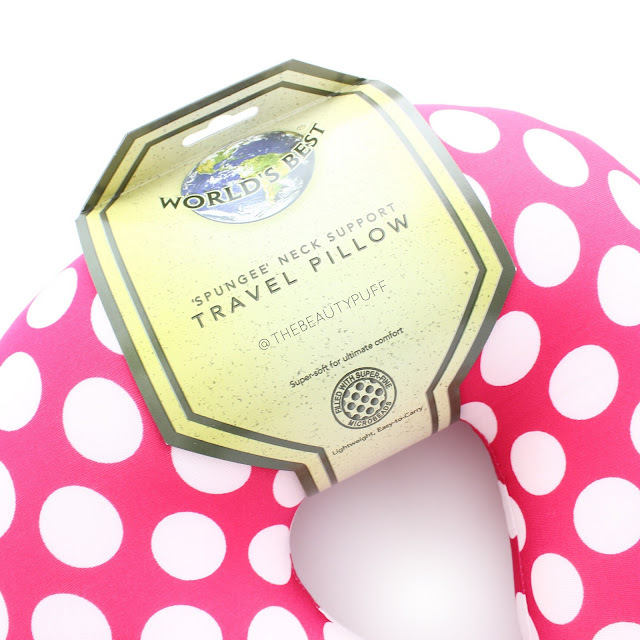 This travel pillow is filled with little micro-beads that conform to your neck for extra comfort. I love the print of this pillow too. Pink with white polka dots, totally my style! *Pattern may vary. 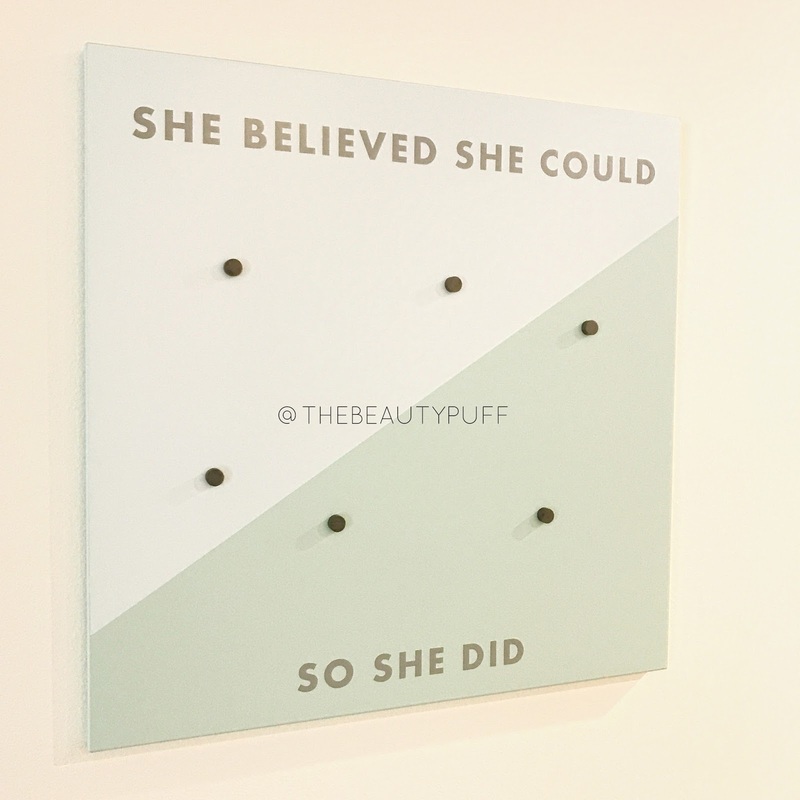 Umbra Magnetic Board | I've got a bit of redecorating going on in my beauty room so this magnetic board is the perfect addition! It's sleek, simple and coordinates perfectly with my white furniture. The board itself says "She Believed She Could So She Did" which is a nice motivator especially in an office space. It even comes with magnets so it's all ready to display your photos and to-do lists! *Style may vary. Each Peaches and Petals box features 3-6 lifestyle, fashion or beauty items. Monthly subscriptions are $19.99 and shipping is free. Every month you'll receive a curated selection of unique products centered around a particular theme. Love your box and want to gift a subscription? Gift subscriptions are available in one, three, six or twelve month increments. Subscribe below!